This book also features inspiring testimonies since the original publishing in August 1999. 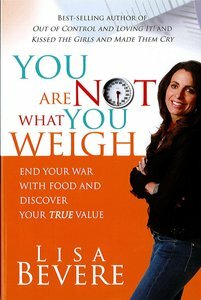 About "You Are Not What You Weigh"
Lisa Bevere is the best-selling author of Fight Like a Girl, Kissed the Girls and Made Them Cry, Out of Control and Loving It!, Be Angry but Don't Blow It! and most recently Nurture In addition to speaking at national and international conferences, she is a frequent guest on Christian television and radio shows. Lisa is also the co-host of the weekly television program 'The Messenger'.